May we present to you, the most critically acclaimed... Hasbro-licensed movie of all time! Take that, Jem and the Holograms! 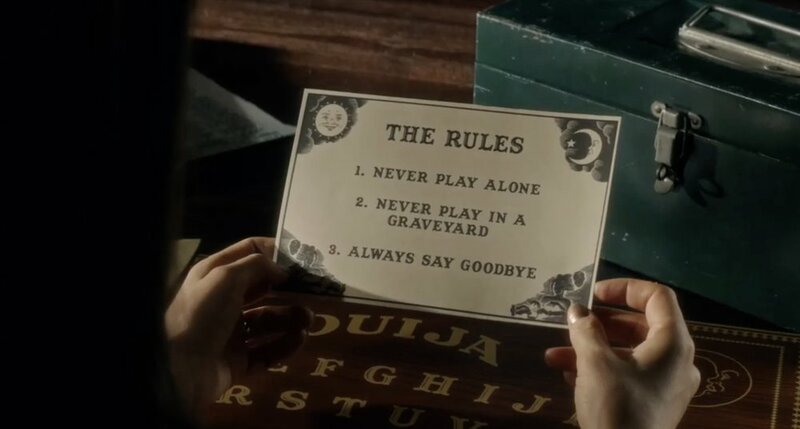 Hope you didn't see Ouija (2014), because (1) it sucked and (2) it spoils everything about Mike Flanagan's 2016 prequel, Ouija: Origin of Evil. This is a movie that is better than it has any right to be, but still suffers from third-act problems... so... she's possessed by an evil Nazi doctor?... or... the Polish victim who is himself possessed by the evil dark things? And the family lives in a graveyard and Doris has psychic powers, but they can't hear the ghosts until they buy a Ouija board at an ice cream shop? Anyway, don't think to hard and join us in this land of digital cigarette burns and split diopter shots.